Another landscape photo from Cumbria and the Lake District. Taken while on holiday in the Lake District in November 2005. 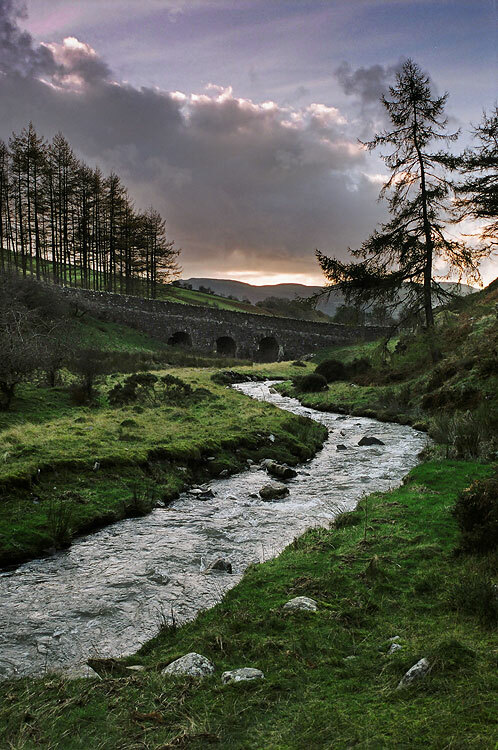 This beautiful and secluded spot is found on Whinlatter Pass (B5292), in the Lorton Fells. As the sun went down it beautifully back-lit the stream, Whit Beck. There was just enough light left to get this shot. Olympus OM-40 + Zuiko 28mm f/2.8. Fuji Superia 200 film (35mm). Hand-held. 1/30th sec @ f/11. Selective burn and dodge layers and toning in Photoshop.